Alex Bregman got 3 hits, including a 2 run walk off come from behind homer to lead the Astros past Toronto, 7-6. Jose Peraza tripled and homered in the Reds 6-5 win against the Braves. Mike Minor took a perfect game into the 7th, finishing with 1 hit over 7 shutout frames to earn the 5-2 victory for Texas over the Padres. Madison Bumgarner threw 7 innings of 2 hit shutout ball, striking out 8 Rockies along the way. He did not get the decision but the Giants walked off the game, 1-0. Freddy Peralta dominated the Royals with 7 innings of 1 hit shutout ball, striking out 10, to give the first place Brewers a 5-1 win. Matt Carpenter got 5 hits, including 2 homers, scoring 5 and knocking in 3 to help the Cardinals clobber Cleveland, 11-2. Charlie Morton struck out 13 Blue Jays over 7 shutout innings to earn the 7-0 victory for Houston. Alex Bregman went 4 for 5 with a homer and a pair of RBI in the Astros 7-0 blanking of the Blue Jays. 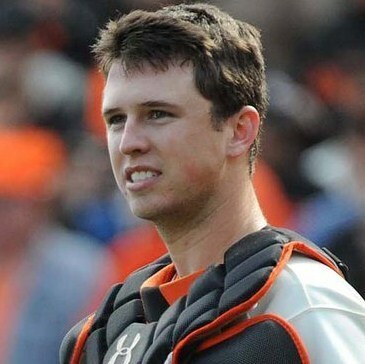 Buster Posey is a two-time champion that signed a contract extension with the NL Bay Area franchise, that will see him make $164 MIL from 2013 – 2021. Will he be able to play the duration of his contract as a backstopper – or will he eventually be moved to 1st Base? The 27 Year Old was selected 5th overall by the team in the 2008 MLB Amateur Draft. 2010…..2012…. 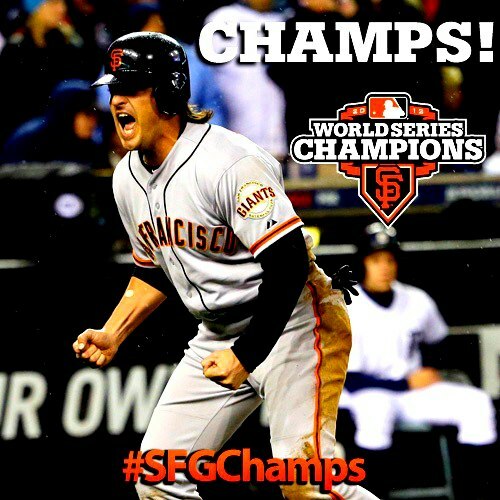 and will the fortunes of the Giants turn into another even year World Series Title in 2014 for the club? Perhaps not, but their offensive lineup has been well manicured over the years. For the most part, Brian Sabean has built this team from the ground up. 80% of the players like Buster Posey. Pablo Sandoval, Brandon Belt and Brandon Crawford were all drafted for the club. All of the bench players were drafted or signed as Free Agents. The biggest acquisition tree lies with the Hunter Pence deal, and now that he re-signed with the franchise last year through 2018, he has been paying immediate dividends on the investment. In 2014 thus far, the brick-built OF, leads the NL in PA, AB and Runs Scored, and he has taken over the leadoff position for the injured Angel Pagan. Speaking of Pagan, it is incredibly important the speedy OF is back in the lineup soon. The Giants simply aren’t the same offense without him. Pagan was brought in to the Giants in a 2011 December trade for Andres Torres and Ramon Ramirez. When in the lineup, the 32 Year Old CF has been a threat with speed and power – as he has 103 Extra Base Hits in the 288 Games Played for the franchise.